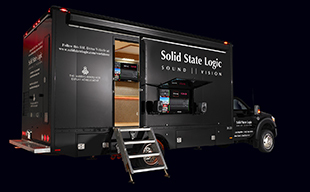 NEW YORK  Solid State Logic is pleased to announce a new Final Cut Pro® media import/export plug-in for the Gravity Media Asset Management system. The plug-in streamlines Apple Final Cut users import and export functions to and from Gravitys shared storage. The plug-in is designed to further integrate Gravitys media asset capabilities with Final Cut workgroups and end users. With the new Final Cut plug-in, editors can choose the Import from Gravity option from the File menu which will open the Import from Gravity window listing all media assets available in Gravitys shared storage. From this location, editors can choose a file to be imported into Final Cut. Once the file is selected, the media and accompanying metadata will be available in the project bin of Final Cut. Once the editor has completed the editing in Final Cut, the file can now be exported back to the Gravity system. The editor can simply highlight the files on the video timeline then select Export to Gravity from the File menu. The editor can then choose a destination folder in Gravitys shared storage for placement and can even choose to export the metadata added during the editing session including bookmarks and tagged information. Once the export process is complete, the exported file is available in the Media Browser of the Gravity Asset Manager. Gravity Media Asset Management systems pull together the essential elements of encoding, storage, transcoding, and decoding digital media to provide an integrated system for the ingesting, editing and playout of content for the broadcast, education, government, corporate and military markets.